Swimming pools provide both exercise and relaxation to any home. However, pools are in many cases difficult to clean and take care of. Homeowners who have swimming pools usually end up spending a lot of time cleaning their pools. On a daily basis, a person has to vacuum the bottom or skim the top in order to get rid of grass, bugs, and debris. Fortunately for homeowners artificial turf makes cleaning the pool easier. 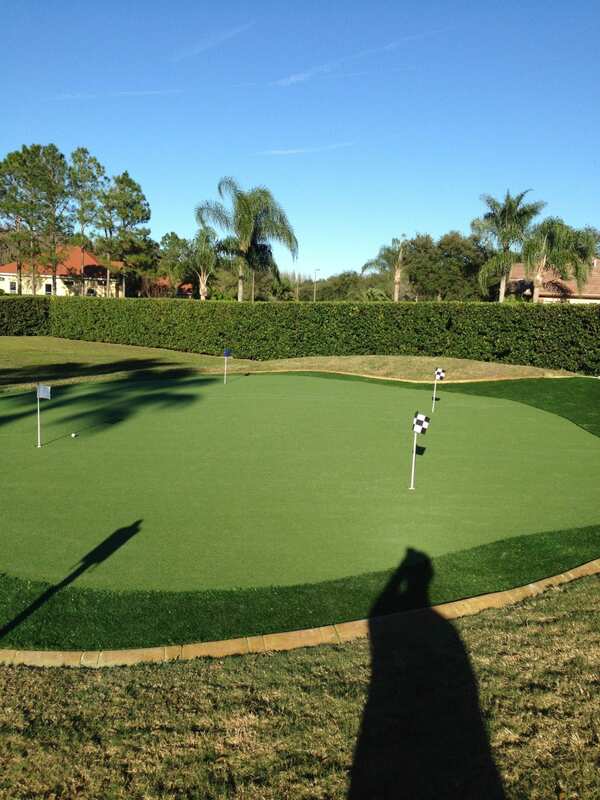 Installing artificial turf is beneficial to homeowners for multiple reasons. Pools placed among natural sod lawns are in many cases dirty. Rain causes mud and wet grass to accumulate and they end up at the bottom of the pool. Children also present a problem because they love to get in and out of the pool and splashing in it, which causes a muddy mess. These problems can be solved by artificial turf, which does not consist of dirt or soil as its foundation. Children can walk around and on artificial turf and get in and out of the pool without worrying about dragging dirt or mud back in. 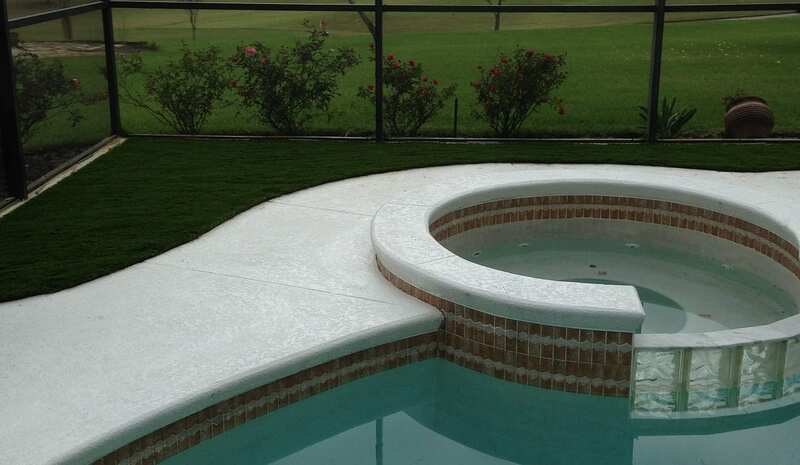 Installing artificial grass helps to rid the pool of mud traces and dirt, and keeps it clean. Wet grass can cause major falls and slips. Many times when an individual falls or slips, they usually drop what they are carrying or knock something over. This is problematic because someone can end up running into nearby tables that may have food and drink on them. As a result, food and spills may wind up in pool water. A person may also drop a substance that may be made of glass. Broken glass or plastic can fall into the swimming pool and end up damaging the liner, which may cost thousands of dollars of damage. 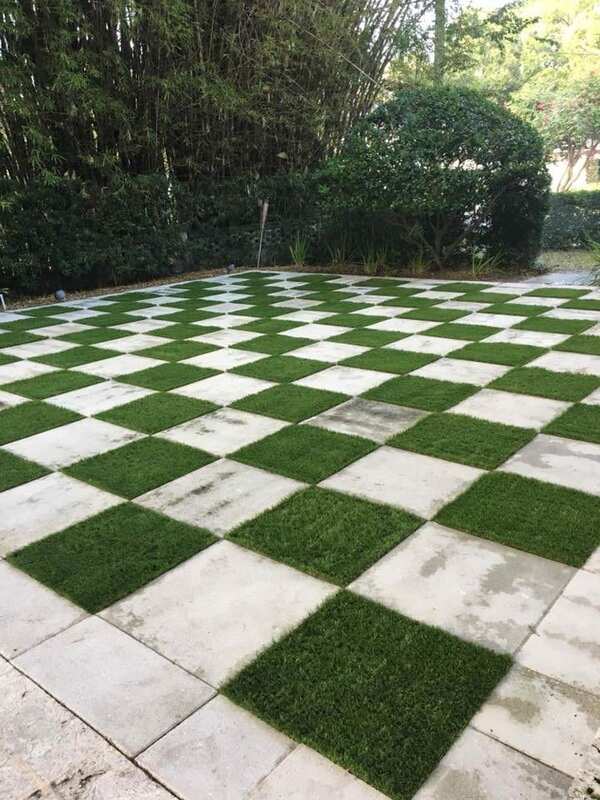 An artificial turf lawn does not eliminate falls, however, it has better grip and tractions as well as optimal draining so it reduces the risk of falling and slipping. After mowing, debris and grass clippings are usually in plenty. Children’s wet feet usually pick up grass and debris when they go in and out of the pool. Moreover, the grass is usually blown into the pool. Getting grass out of the pool is usually cumbersome. 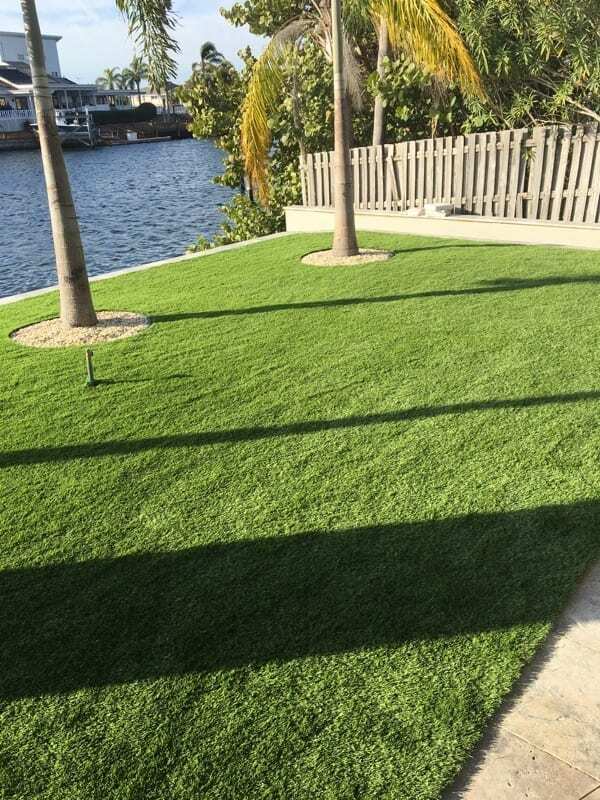 Installing artificial turf will ensure that there will be no blades of grass because it is artificial. 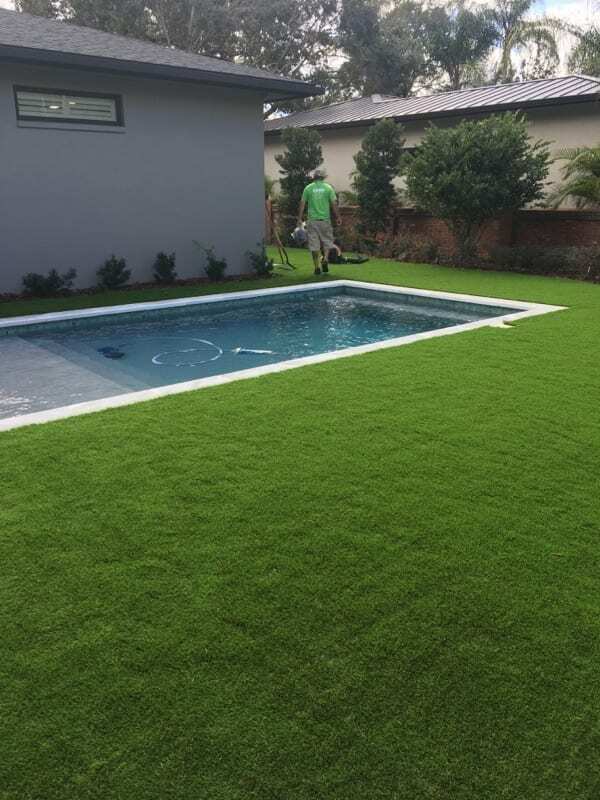 Artificial turf does not need to be trimmed, or mowed, which eliminates the possibility of any form of residual lawn waste making its way into the swimming pool because of mowing. 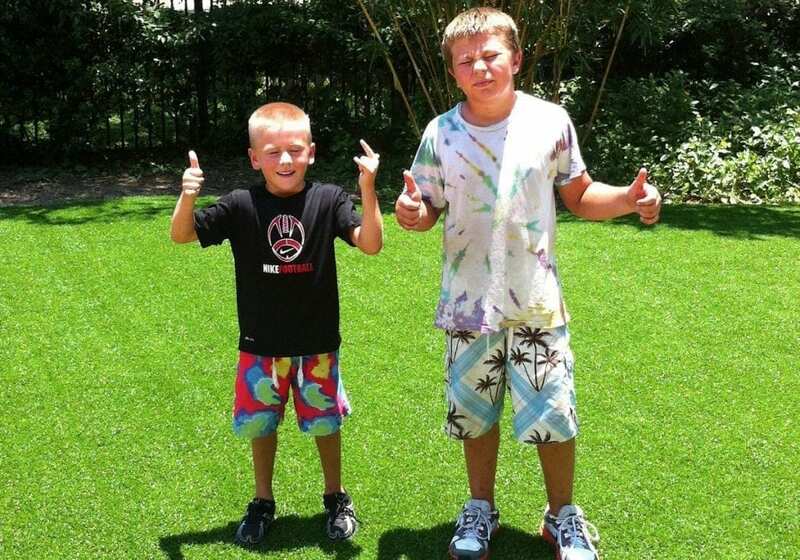 Installing artificial turf is one of the best ways to keep the pool clean. It relieves the burden of regular cleaning and makes things easier. Homeowners with swimming pools are highly encouraged to consider the option of installing an artificial turf lawn. I like what this article mentions about the mud and dirt problems with pools. It makes sense that grass can be a problem near pools because wet feet would cause the dirt to become muddy and it could get tracked into the water. It’s something I’ll have to remember because not having to worry about mowing or maintaining the turf would be a good way to keep the pool clean and the maintenance low.